Nine beneficiary consortium members and three partner consortium members constitute the OCCAM network. 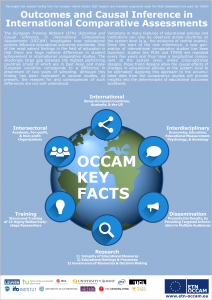 All consortium members are involved in OCCAM research, training, and supervision. Each beneficiary hosts one or two early-stage researchers. The partners do not act as hosts, but engage in every other European Training Network activity—they provide supervision, participate in one working group, and host secondments and research visits. The IFS (Institut für Schulentwicklungsforschung/Center for Research on Education and School Development) located at the TU Dortmund University was founded in 1973. It is on the one hand concerned with describing, explaining, and optimizing the management, organization, and design of schools and on the other hand with educational processes and educational success in terms of acquisition of competences and educational participation in various contexts and age groups. Pupils, their parents, teachers, principals, and institutional framework conditions all fall within the scope of the IFS research. It consolidates interdisciplinary expertise from education, psychology, sociology, and statistics, and closely collaborates with other stakeholders in education such as the ministries, foundations, and non-profit organizations. The IFS employs ca. 60 researchers including 3 professors, 2 emeritus professors, 20 postdocs and 35 PhD students. It has conducted numerous (150+) national and international research projects. Pivotal among these studies are international comparative studies (national research coordination of ICILS, PIRLS, and TIMSS). 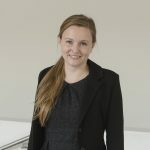 The research group FUR (Förutsättningar, Utbildning och Resultat — Prerequisites, Education, and Outcomes) at the University of Gothenburg develops two-way theories, which encompass both individual differences and the effects of social, educational, and environmental factors on achievement and abilities. FUR has a strong position in both educational assessment research and in the broader field of educational measurement. The team has published more than 200 research publications in the last five years. The Ifo Center for the Economics of Education (EE) focuses on research in the production of skills and knowledge, and the institutional efficiency and equality of opportunity of the educational system. Furthermore, it conducts research on teacher effectiveness. It has a strong position both in research and in service/policy advice. 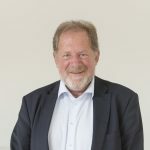 Two research centers of KU Leuven (Belgium) are involved: the Centre for Educational Effectiveness and Evaluation (CO&E) and the Research Institute for Work and Society (HIVA). The core business of the CO&E is (1) longitudinal studies on the effects of student, teacher, and school-level features on educational outcomes, and (2) research in statistical methodology for longitudinal educational effectiveness studies. HIVA specializes in multi-disciplinary research on social policy issues, including among others education and lifelong learning. The team has experience in comparative educational research ranging from early childhood to adult education. Equality of opportunity and the matching between education and labor markets are spearheads in this research. Cito, based in the Netherlands, is one of the world’s leading testing and assessment companies. Measuring and monitoring human potential has been their core competence since 1968. Cito works for educational institutions, governments and companies, with learning performance and performance in the workplace as their focal points. Their work builds on the latest developments in ICT and psychometric research. Cito has achieved international recognition, expanding its network to include numerous committees, consultative bodies, both as clients and partners, throughout the world. At present, Cito has subsidiary companies in Germany (Cito Deutschland GmbH) and the US (Cito USA Inc.). The IEA (International Association of Educational Achievement) is an independent, nonprofit research organization. We conduct international and national large‐scale comparative studies of educational achievement and other aspects of education, with the aim of gaining in‐depth understanding of the effects of policies and practices within and across systems of education. At the IEA Hamburg over one hundred specialists are involved in managing the different tasks of a study ranging from sampling to data analysis. The Research and Analysis Unit (RandA) at the IEA Hamburg conducts research, analysis, training, support and consultancy activities in the field of large‐scale assessments in education. RandA aims at improving the science of large‐scale assessments, promoting the proper use of data from IEA studies, stimulating high quality research and providing evidence‐based policy recommendations. The Department of Education at the University of Cyprus (UCY) offers competitive educational programs and aspires to be a center of excellence in the wider Euro-Mediterranean region. The Department of Education at the University of Cyprus has participated in approximately 200 research projects funded by the European Commission and other international funding agencies. At the same time, the Department of Education has remarkably high success in attracting grants from the Cyprus Research Promotion Foundation. The Centre for Educational Measurement (CEMO) is a research center with a staff composed of scholars from ten nations. The Centre emphasizes fundamental research on issues relating to measurement and methodological issues, in particular issues of relevance for large-scale assessment. Several members of CEMO are centrally placed in committees and expert groups in the international studies. CEMO employs four senior researchers (professors) and 12 PhDs and postdocs. In addition they have three adjunct professors and are continuously hosting scholars from other countries. From autumn 2018 the Centre also organizes a Master of Science in Assessment and Evaluation. 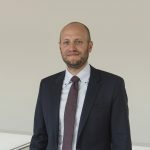 The Department of Quantitative Social Science (QSS), based in UCL’s Institute of Education (IOE), specializes in developing and applying advanced quantitative techniques to real-world social science problems. It has particular strengths in experimental and quasi-experimental methods for estimating causal effects, and in conducting quantitative cross-national comparisons. The research team has a track record in conducting impact evaluations and using international assessment data gained through work on national and international interventions and tests. UCL is ranked as one of the top 10 universities in the world by the QS World University Rankings. IOE is number one for Education in the QS “by subject” rankings. The Australian Council for Educational Research (ACER) is one of the world’s leading educational research centers. Established in 1930, it has since built a strong reputation as a provider of reliable support and expertise to education policy makers and professional practitioners. ACER has been the international study center for major international studies like OECD PISA, ICCS and ICILS, and has conducted the implementation of Australia’s national participation in TIMSS, PIRLS, ICILS, and PISA as well as of many major national assessment programs. Founded in 1947, ETS is the largest private educational measurement organization in the world and a leader in educational research. 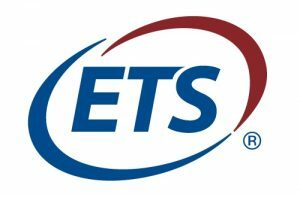 ETS is dedicated to serving the needs of individuals, educational institutions, and government bodies in nearly 200 countries. ETS develops, administers and scores more than 50 million tests worldwide. The high caliber of scientific staff allows ETS to produce both new knowledge and methodology (e.g., co-invention of item-response theory, structural equation modelling, and modern validity theory). The mission of the Department of Educational Policy & Leadership (EPL) in the School of Education at the University at Albany is to enhance the understanding and practice of leading educational organizations and policy analysis across all levels of education. One strand of research at EPL focuses on the role of international comparative studies like PISA as an institution-building force in global education. It scrutinizes their role in the emerging regime of global educational governance and studies the presumption that the quality of a nation’s school system can be evaluated through a standardized assessment that is insensitive to the world’s vast cultural and institutional diversity.